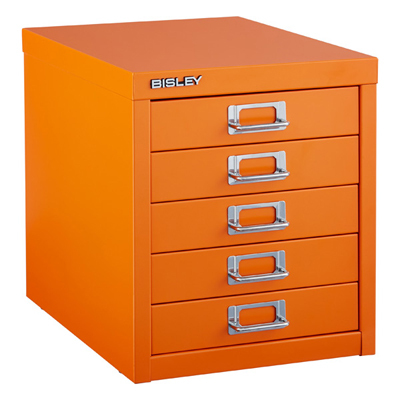 Five deep drawers make this Bisley 5-Drawer Cabinet ideal for use at home or the office. Each drawer has a label holder handle for marking the contents. It’s perfect for placing on a desktop or work surface. $99. Buy here.